In an intense battle against Chico State, Sonoma State University lost 53-50 despite their best efforts. The nail-biter of a game took place on Saturday Dec. 17 at Chico State in the Acker Gymnasium. With only six seconds left, guard Jackson Gion received the ball and heaved up a three-point shot that went in, but not in time for it to count. If the shot had counted, Sonoma State would have a had a chance to defeat their rivals because of the shift of momentum during the final minutes of the game. The loss was frustrating for the team, but they kept their heads high and prepared for their next games over winter break. “After that loss from Chico I was only worried about getting back in the gym with the team and fix the things that needed fixing… So we were working hard, scheming, and preparing for the games ahead of us so I knew we would be ready for anything,” said Ronnie Harris. 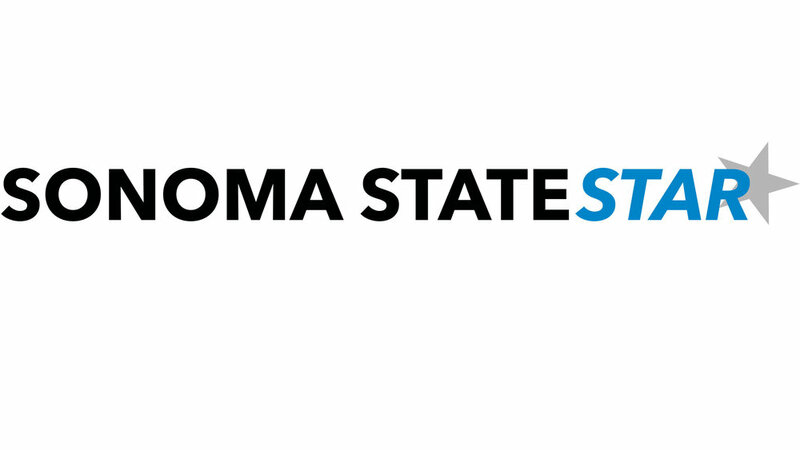 After this loss, the Sonoma State men’s basketball team rallied for a five-game winning streak, defeating Cal Poly Pomona, Cal State East Bay, Stanislaus State, Cal State San Bernardino, and the No. 11 ranked UC San Diego. Their two biggest wins over break were against Cal Poly Pomona and UC San Diego. In the game against Pomona, Sonoma State won 70-68 in another close match that took place at Haehl Gym in Santa Rosa, California. Unlike the Chico game, this one went into overtime, which forced the team to dig deep to pull through with the victory. With seconds left, guard Mason Phillips got the ball and shot a 3-pointer at the buzzer. Getting the shot off on time, Phillips missed but was fouled, giving him the chance to take the lead. He made two out of the three free-throws, which gave Sonoma State the lead and victory over Pomona. The next big win over break was when Sonoma State defeated UC San Diego 54-48 while at home at the Haehl Gym in Santa Rosa. Center Luke Cochran scored 12 points, a team-high, and Guard Armani Nicolis had 11 points to help the Seawolves pull off the victory. “This game against UCSD was huge because they were undefeated in league and they ended our season last year in the playoffs on a buzzer-beater,” Gion said. This win was huge, but Sonoma State eventually lost to San Francisco State 80-65, which ended the Seawolves’ winter break win streak.